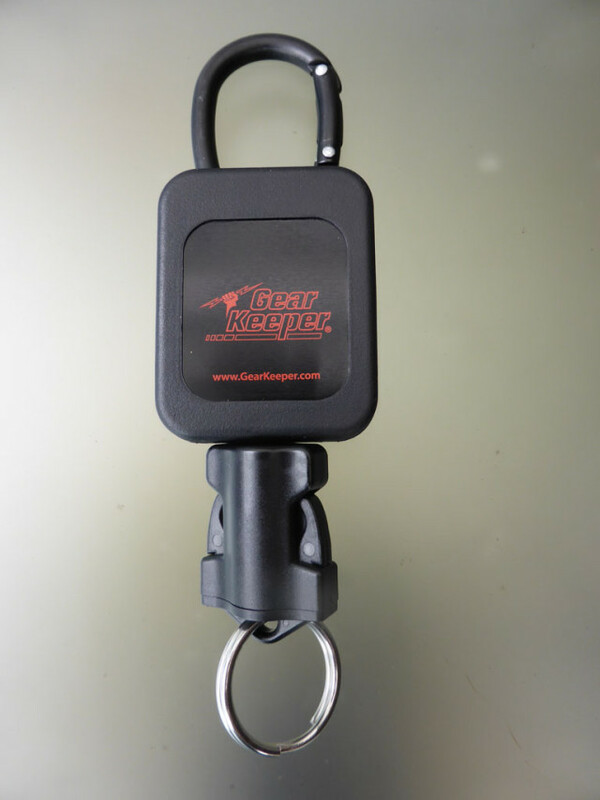 New retractable tether features a carabiner clip offering a secure turnout coat attachment for 3C /8AA flashlights. Laden with tools and running through blinding smoke during a dangerous fire, firefighters must react quickly when it comes to making a life-saving decision. There’s no time to waste fumbling for a flashlight. Gear Keeper’s new RT4-4465 carabiner retractor safely secures a flashlight against loss while always keeping it easily accessible. The Gear Keeper retractable RT4-4465 (€ 24.99) flashlight attachment tether offers an aluminum carabiner featuring a gentle extension/retraction 450 gram (16 oz.) force with an arms-length 56 cm (22”) strain-free reach. Firefighters need only grab their light, use it and let it go; it will always be right where they need it. When the situation requires it, the RT4-4465 employs a patented Q/C release system enabling the flashlight to be easily detached for use at a moment’s notice. 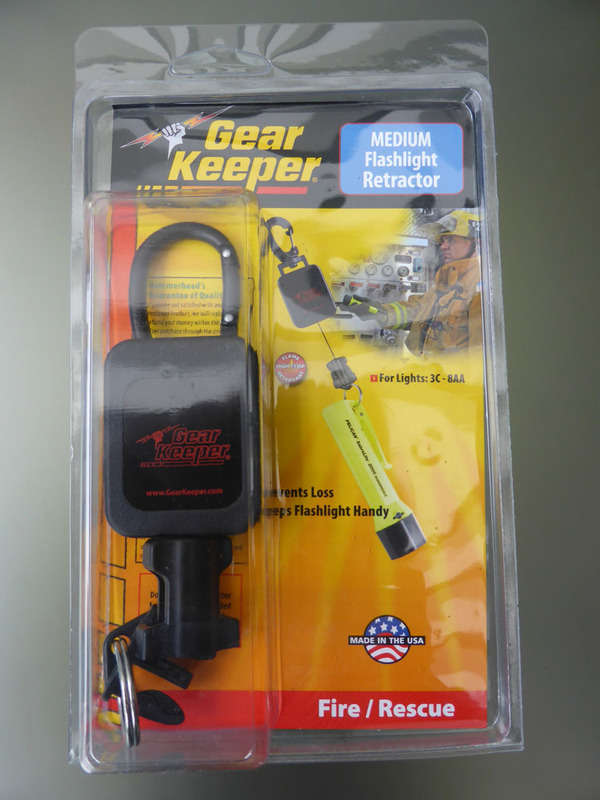 The RT4-4465 flashlight retractor joins the broader family of Gear Keeper flashlight retractors. When selecting the perfect fit for all of the popular firefighter flashlights, the Gear Keeper flashlight retractor line offers snap-clip retractors for small (4AA-2C) and medium (3C-8AA) flashlights; carabiner, brass and stainless steel clip retractors for large (3C/ 4C/ rechargeable) flashlights. Options include threaded stud mounted stabilizer kits that eliminate the annoying swinging and dangling associated with firefighter flashlights. or other Gear Keeper Products contact the European sales office at Avera-Distributing in The Netherlands. This entry was posted in GearKeeper and tagged Gear Keeper, gearkeeper, RT4-4465. Bookmark the permalink.